Martin Malone is an Irish novelist and short story writer. His novel, The Broken Cedar (2003), was nominated for the International IMPAC Dublin Literary Award and was shortlisted for an Irish Fiction Award. His first novel, Us (2000), won the John B Keane/Sunday Independent Award. His story, “The Mango War”, the title story of his 2009 short story collection won the RTÉ Francis MacManus Award in 2004. Malone has also won the Killarney International Short Story Prize and has been on two occasions shortlisted for both a Hennessy Award and a PJ O’Connor Award. As a member of the Irish Army Military Police, Malone served five tours of duty with the United Nations Interim Force in Lebanon and one with the United Nations Iran–Iraq Military Observer Group. He has written a memoir of his time in the army, called The Lebanon Diaries (2007), and his experiences in the Middle East have greatly informed his literary work. 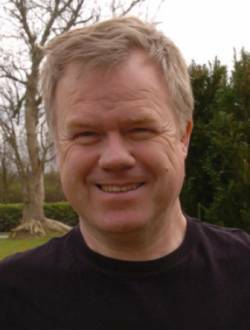 His work is published by Simon & Schuster UK, Maverick House, Poolbeg Press and New Island.